Spring Break Tapes, First Second, Where To Now? A seamless melding rather than a collision, Demora brings two singular solo artists together to make immaculate, distinctive techno that slices through the electronic underground. Drawing loosely on club styles while tracing their own melodic path, Devon Hansen and Leticia Trandafir match driving rhythms with unique textures and electro shadowed in grit. For Demora, Hansen draws from a broad approach to music, flipping from intellectually intriguing minimal electroacoustic music to pushing the possibilities of club tracks into deep dub techno and mindful, detailed environments of sound. Like Trandafir, he's also known for consistently playing underground DJ slots and live solo gigs in Montréal and abroad. With trio Fousek/Hansen/Tellier-Craig, he's known for his complex rhythms suffused with drone. He'll release new music this year as Stefan Jós and in collaboration with Polish producer Fischerle. As Softcoresoft, Trandafir mixes an energetic, acid retro-electro with industrial techno, EBM, dancehall, bass and break beat, as heard on monthly show Ravelength on n10.as and often live, at countless underground soirees. 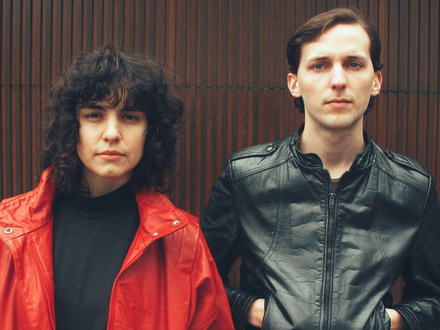 With a debut record out this summer on Dublin-based First Second Label, Demora officially fuses two artists' visions into one dazzling force. In a driving, hardware-based live performance, Demora makes its world premier opening Friday night's deep techno spree at Métropolis.